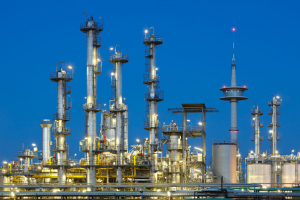 The need for and use of potentially harmful fuels and vapours in a range of industries has led to increased development of electrical equipment for hazardous areas. Electrical installations in hazardous locations are specialised tasks requiring trained electricians, such as the team at Hazardous Area Solutions. Our team is up to speed with the latest technologies and can select and install equipment that will protect your facility if it’s classed as having explosive hazard risks. Depending on the nature of your industry and business we can tailor an electrical system specific to your needs, conducting a thorough analysis of your hazardous area equipment requirements. This analysis can include, among many other elements, explosion-proof lighting, hazardous area junction boxes and explosion-proof air conditioners. Servicing clients, we can also carry out maintenance, repair or testing as required, or assist with auditing and hazardous area classification. Hazardous area wiring is an important aspect of your hazardous area location and one that needs strict attention to detail and the ability to meet compliance standards. VE-Electrical uses certified equipment to install hazardous area wiring. It’s little wonder wiring is such a strictly monitored area of the industry, given the risk electrical wiring presents in a hazardous location. Incorrectly installed wiring presents the risk of igniting a fire or worse, explosion. And at VE-Electrcial, we take no risks when it comes to the safety of people. appropriate equipment is used during wiring installations to reduce sparking. Regular wiring materials, equipment and techniques are not robust enough to withstand the demanding requirements of a hazardous area location. Our electrical contractors work with highly specialised equipment and materials to ensure safety, integrity and longevity. VE-Electrical take pride in offering prompt support to clients needing maintenance of electrical equipment in hazardous areas. These areas can include flammable liquids or gases, or combustible dusts and fibres which pose a potential explosion risk. Our hazardous area electricians are trained and experienced to handle whatever electrical issues arise in a potentially explosive environment, including machinery breakdowns, power and lighting faults, system malfunctions or cabling and data problems. In addition, our hazardous area electricians can carry out testing of all electrical equipment to ensure it complies with Australian Standards and is safe for anyone using the facility. Routine testing or maintenance might be required as part of compliance with the hazardous area classification, which classifies hazardous areas to ultimately ensure the equipment being used is the safest for that location. To find out more about our services, get in touch and one of our friendly staff will be happy to discuss your requirements for electrical installations in hazardous areas.